Site Update: New Advanced Search Page And More Added In Yesterday's Update! It's time for another site update and this time we completely revamped our advanced site search page so you can now use google features such as image search or video search in your searches. You can only access this new search by going to our search page via our navigation menu. The toolbar search and forum search above the navigation menu still utilize our old search system. Our new search feature uses Google's API so it'll feel just like you're searching on Google except only results from our website will be displayed! We have also added our donation link to our navigation menu once again so if you want to donate to us so we keep our custom domain or remove the Adsense ads from our website among other things we'll be able to do so! And finally we have added a partners wall which will show our partners such as affiliate gaming websites or even developers and publishers that have decided to work with us to provide exclusive content or by supporting us by providing review copies of games for us to review! Just click a partner's image to flip it which reveals the partner's link to their official website! Let us know what you think of these new features and tell us what new features you'd like to see in future updates! Re: Site Update: New Advanced Search Page And More Added In Yesterday's Update! It is a really nice update! 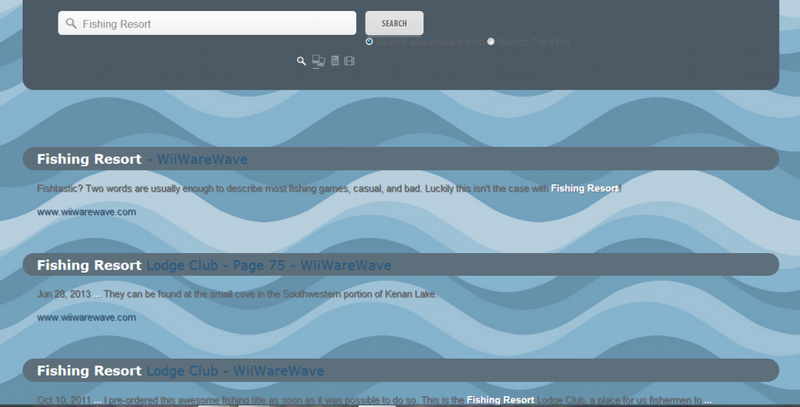 The new search page is good, however the video search is useless since there are no videos hosted here at WiiWareWave. I look forward to timely reviews and new exclusives when WiiWareWave gets some developers and publishers as partners.